Android Auto? On my Mazda? Before you get too excited by that title, let me drop a couple of ice cubes in that piping hot cup of excitement: this is exceptionally buggy. With that disclaimer out of the way, yep, some clever individuals have managed to reverse-engineer Android Auto's head unit bits to run on newer Mazda CMU (infotainment) systems, and if you're feeling adventurous, you can get in on the action. The issue is that, well, it's kind of broken in lots of ways. And I mean virtually everything is subject to bugs, crashes, and various strange issues, like the fact that the CMU system permanently thinks it's midnight on January 1st, 1970 when in Android Auto and thus Auto is always in its night mode layout. And that's easily the most benign bug. But! Watching this video, you can see that it does basically function, albeit at a fraction of the FPS it should and probably a lot more slowly and jankily in other ways than you'd expect. For someone really desperate to try out Auto, this is potentially a way to mess around with it, though likely not in a fashion where it'll be usable on a daily basis. The install is, frankly, not straightforward. You'll need to know how to deploy custom applications via USB on your Mazda CMU system, which is in and of itself a process, and not explained in the thread for the Android Auto installation. You'll probably need to learn some stuff - this isn't plug and play. Additionally, messing around with your built-in vehicle head unit on a car that is likely still under warranty (this only works with Mazdas of the last 2-3 years) is probably not the best idea unless you feel confident in your technical abilities. While if you don't break anything during the install process Mazda will likely never know the difference, if you do? That could be one expensive trip to the local Mazda service department. How do you know if this will work on your Mazda? You'll need the Mazda CMU system which, aside from the 2014-2016 Mazda 3 (which CMU debuted on), is only available on model year 2016 Mazda vehicles, at least here in the US - it might be on a few earlier model years, especially in Japan. And to be perfectly clear: no, this does not reveal that Mazda is actually implementing Android Auto on these vehicles. 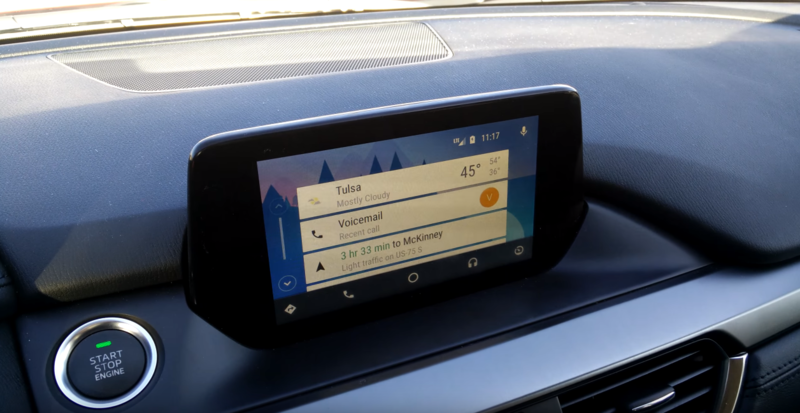 Mazda is a member of the Open Automotive Alliance and an Android Auto partner, but this method merely relies on reverse engineering the head unit portion of Android Auto to run on the Mazda CMU system, not the exploitation of existing Android Auto code on the head unit. Android Auto is so lightweight and simple on the head unit end of the equation that it could feasibly be "hacked" onto a number of sufficiently advanced infotainment systems provided an end user has the ability to install and run code on that system. Mazda's application install architecture just happens to be, apparently, exceptionally easy for end users to access. Practical? Probably not. Kind of cool? Absolutely.